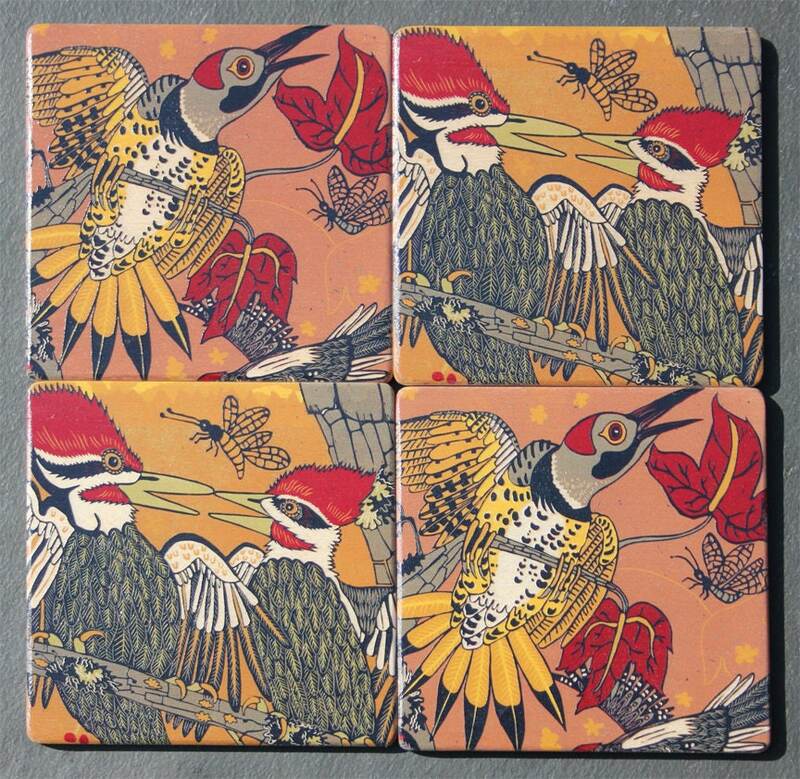 Woodpecker coasters, perfect for wood protection. 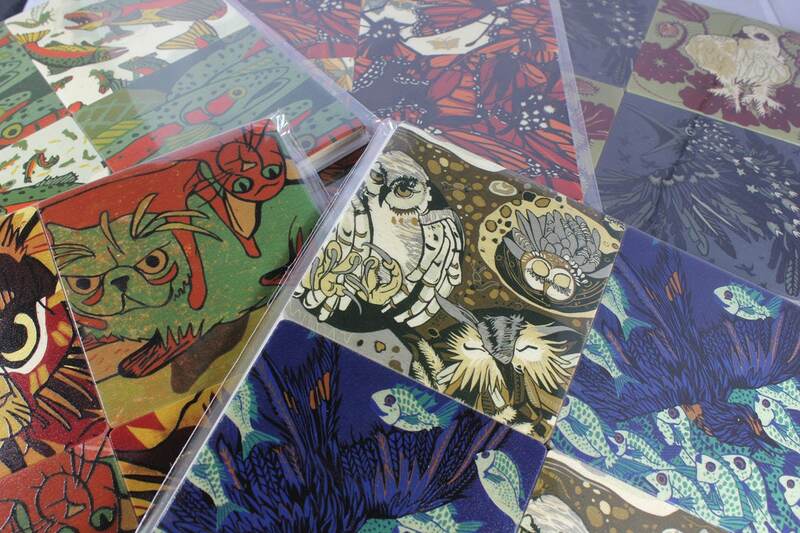 These are printed with fade proof ink on sustainability harvested maple. They come packaged in a set of 4, perfect for gift giving. Need something in a pinch for that co-worker, inlaw, friend? Give a coaster, part furniture protector, part art. Cat lovers will meow over these feral friends. 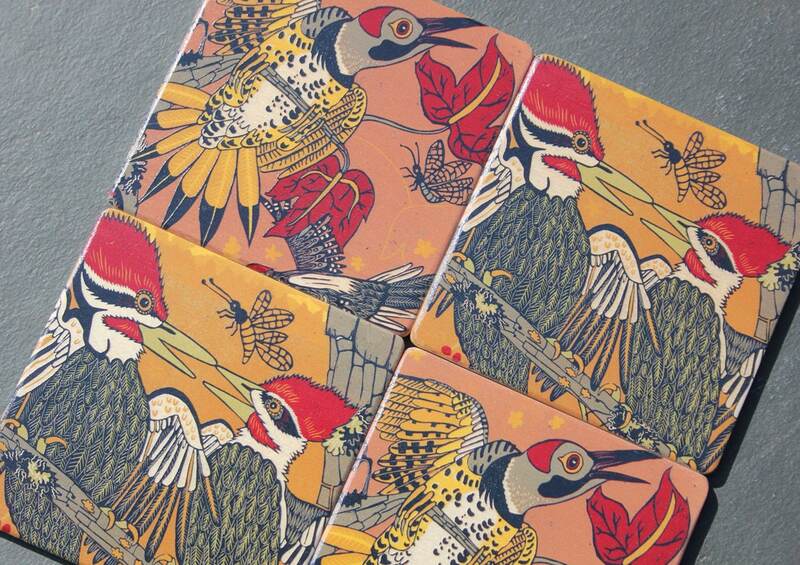 all coasters are 4" x 4" packaged in a plastic sleeve that is 8" x 8"
Nice artwork. Great construction. My favorite coaster. I love art for my drinks :) Great quality as well!